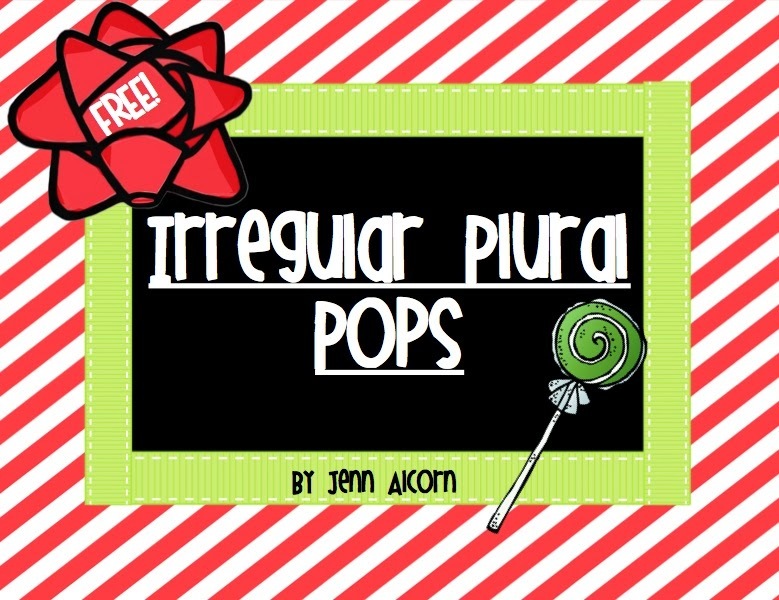 Speechie Freebies: Irregular Plural Pops! 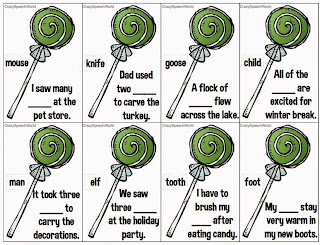 These fun lollipop cards feature the singular form of a noun, and students will need to produce the plural form to fill in the blank and make the sentence complete! 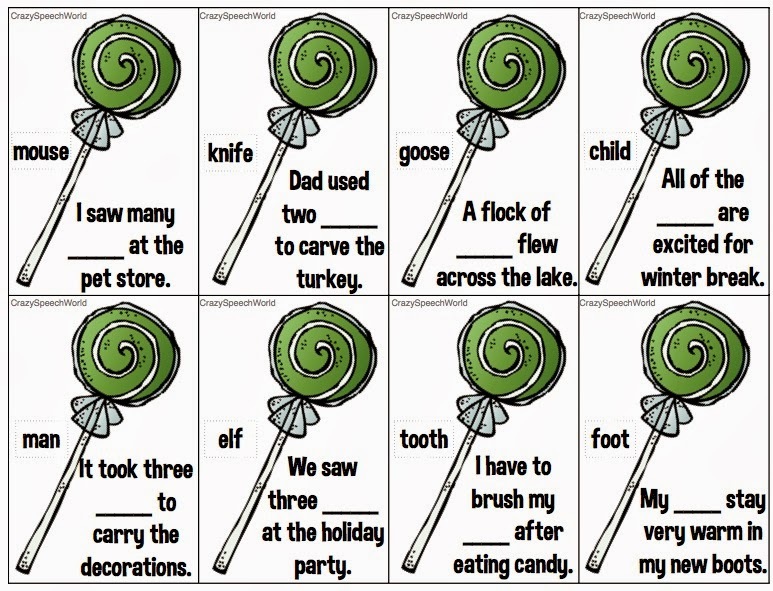 The download also includes blank cards to customize and a student worksheet! Head on over to Crazy Speech World grab this freebie!